Do you want to build muscle? Have you been hitting the gym every day but you’re not seeing the results you hoped for? Each day you wake up with your goals on your mind. Discipline is your middle name and has become a constant part of your life. But, discipline may not be what you’re missing. You might need a protein powder to support all your effort. Having said that, if your discipline is lacking, protein powder isn’t going to do much. It can only help if you’re already putting in the work. As you workout, your muscles require extra protein. All of that exercising, running, lifting, and sweating is hard on your body and greatly increases the amount of protein you need to consume daily. Exercise might feel relaxing, but it puts a lot of strain on your body. Before and after a workout is the best time to add that extra protein. With some isolates, you can drink them during a workout because they metabolize so fast. Many studies have looked at the recommended amount of protein needed for the average adult. And there are a couple different numbers. A close estimate if you work out regularly is 1 gram of protein for every pound of body weight. For a person who isn’t as active the numbers are a lot less at 0.8 grams per 1 kg of body weight or 0.4 grams per 1.1 pounds of body weight. Before we get into the benefits of protein powder, let’s go back to high school. Protein is the second most abundant substance in your body and is responsible for building healthy muscles. It’s also responsible for repairing and strengthening muscles. If you are doing strength training then the recommended amount of protein is 0.64 to 0.82 grams per pound of body weight, which translates to 102 to 131 grams of protein each day for an average-sized man of 160 lbs. Protein powder is a dietary supplement that’s easy to take and affordable. You can mix it with water, milk, or make smoothies. The choice is yours. 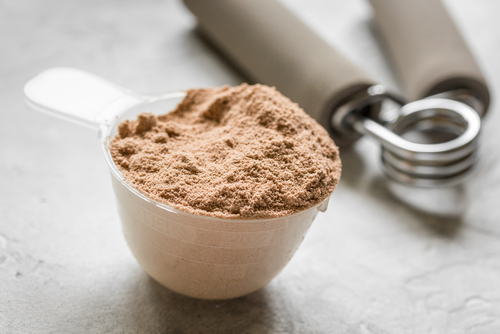 Protein powders come in a lot of flavors like vanilla, chocolate, and chocolate mint. For a lot of them, all you need to do is mix one scoop with 8 oz. of water or milk. Check your packaging for directions. Is there a best protein powder? No, there isn’t. The “best” protein powder depends on your body type and fitness goals. 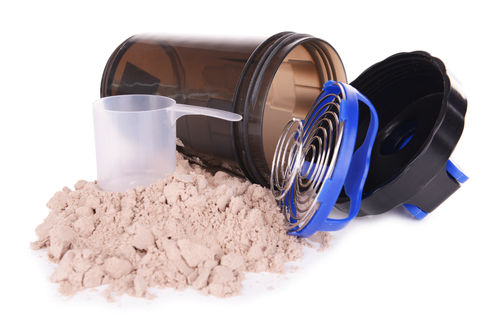 Within the range of powders that fit, you might find a great protein powder, but this can differ between two guys. There isn’t a universal best powder, but some are higher quality than others. 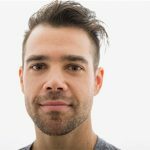 So, you’ll want to read a lot of reviews and compare success stories before choosing a protein powder. What types of protein powders are available? 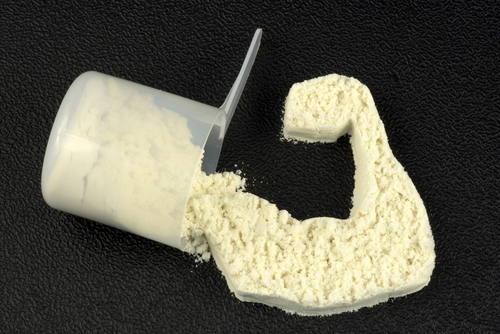 There are many protein powders, but the most common are whey, casein, and soy. Whey comes in two forms: whey protein concentrate and whey protein isolate. Both of these come from milk and digest quickly in the body. Bodybuilder’s routines usually involve taking whey protein concentrate right after workouts. The isolate digests even faster than whey protein concentrate. It’s a good idea to add it to your pre-workout routine in a supplement blend. Many people say that whey protein isolate is healthier because it has fewer carbs and sugar than whey protein concentrate. After whey, casein is the second-most popular protein powder. It’s digested slowly, taking 5 – 7 hours to fully metabolize. Casein protein is great for weight loss because it keeps your body full longer. Taking it as a pre-bedtime snack is recommended so your muscles stay nourished during sleep. The third most common protein powder is soy protein. Currently, soy protein is more common among females, athletes, and bodybuilders. It’s beginning to cross over to the male population. Soy protein is widely regarded as the healthiest powder because it’s great for people with allergies, other dietary restrictions, and those who don’t consume dairy. Soy protein is also recommended if you’re lactose intolerant, as it is made from plant-based products. Other protein powders include egg, beef, and hemp. These six are just a few of the many protein powders available. Protein powders are an affordable way to get the protein you need to reach the fitness goals you’ve made. Some of them come with artificial ingredients, flavors, colors, and sweeteners, while others are all-natural. For weight loss, look for protein powders with no fat, sugar, or carbs and low amounts of calories. If you want to gain weight, choose dense, high-calorie powders. There are products available that provide upwards of 200 calories and others that are lower than 90 calories. If your lady wants to get fit, there are tons of powders made for women. With discipline already taken care of a protein powder should help you see the results you’re looking for. Watch out for low-quality protein powders. There are a lot all over the internet promising a lot that they won’t deliver. Read reviews before purchasing and ask a lot of questions. Match the protein powder’s recommended usage with your body type, goals, level of activity, workout routine, and follow all instructions on the packet. Check out forums to get examples of routines from more experienced people so you can maximize your workouts. You’ll save yourself a lot of time and be surprised how complex these routines can get.